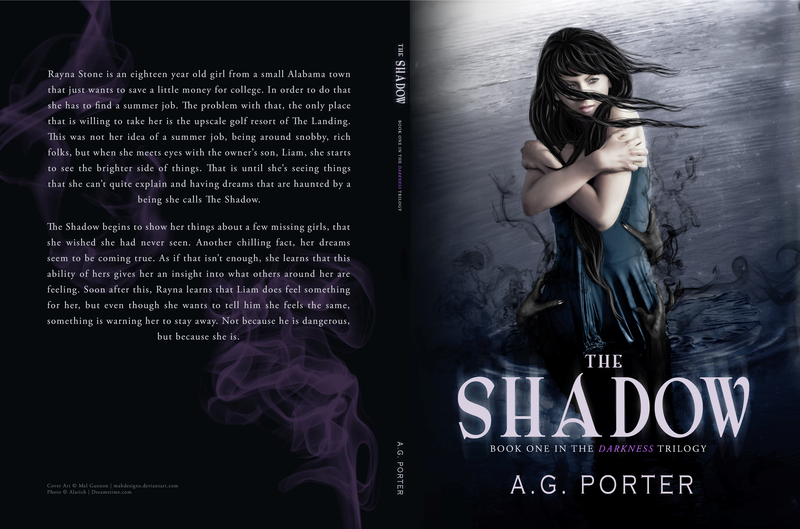 You could win a FREE signed copy of The Shadow! 1. Review The Shadow on Nook or Kindle (It has to be an actual review, at least a few sentences). 5. The contest ends on February 13th and the Winner will be announced on February 14th, Valentine’s day! The 2013 Screen Actors Guild Awards; And the Winners Are? 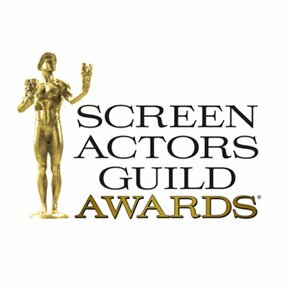 Today all the buzz has been around the Screen Actors Guild Awards (SAG). This awards show brings the actors, directors, screen writers, and others one step closer to the pinnacle of awards shows, The Oscars. After the Golden Globes and the SAG award shows the world can pretty much narrow down who is taking home that golden Oscar. But first, what is the Screen Actors Guild? It was a great night for Ben Affleck and the rest of the Argo cast for winning Outstanding Performance by a Cast in a Motion Picture. Eyebrows were raised when Affleck was snubbed for an Oscar for the Best Director category. However, the Oscar dream isn’t over for Argo as the film is nominated for Best Picture, Film Editing, Sound Editing, Sound Mixing, Writing (Adapted Screenplay), and Music. Jennifer Lawrence took home a SAG for Outstanding Performance by a Female Actor in a Leading Role for her portrayal of a troubled window in the critically acclaimed Silver Linings Playbook. Unfortuantly, her co-star, Bradly Cooper, didn’t take home the SAG for Outstanding Performance by a Male Actor in a Leading Role. That award went to Daniel Day-Lewis for his amazing work in Lincoln. Now back to Jennifer, it really is no big surprise the actress won considering she has been cleaning up this year at each awards show. Still, this is amazing for the young actress to hold her own against the likes of Helen Mirren (Hitchcock), Naomi Watts (Impossible), Jessica Chastain (Zero Dark Thirty), and Marion Cotillard (Rust and Bone). Who do you think will take home the Oscar in each category? Who is more deserving? Also, is there any category you think went to the wrong person/film tonight? Leave your comments below. 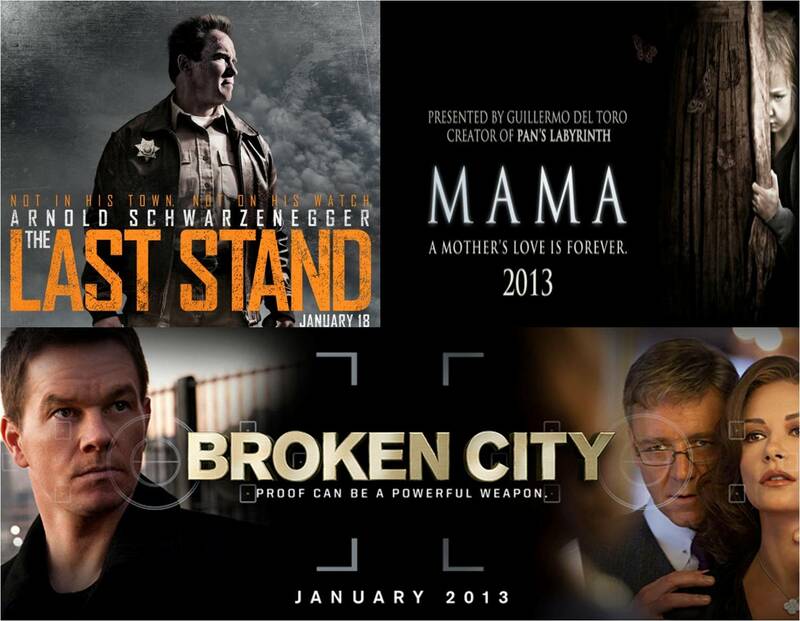 ‘Mama’, ‘The Last Stand’, and ‘Broken City’; Can They Take the Box Office? Don’t forget to subscribe to receive more updates on new movies! Last week at the Box Office, Zero Dark Thirty took Texas Chainsaw 3D completely out of the running with its sweep of $24.4 million in ticket sales. A Haunted House was hardly a close second with $18.1 Million and Gangster Squad trailed not far behind with $17.1 Million of its own. Django Unchained and Les Miserables rounded out the top five. But there’s a whole new group of movies slated to open this weekend. Let’s get into it shall we? Broken City (R) stars Mark Wahlberg as Billy Taggart, an ex New York city cop who is framed by the corrupt Mayor Hostetler, Russell Crowe, for murder. Taggart then sets out on a vengeance fueled mission for justice. The film also stars Catherine Zeta-Jones as Crowe’s wife and Jeffrey Wright (Quantum of Solace). While action movies do well in theaters it stands to reason that this film will have trouble outshining other hot films that’s being released this weekend. The Box Office fate of this film is solely in the hands of movie goers. In The Last Stand (R), Ray Owens, played by Arnold Schwarzenegger, is a small town sheriff headed for big time trouble when a group of drug dealers, lead by Burrell (Peter Stormare, Lockout) and Gabriel Cortez, an escaped convict, (Eduardo Noriega, The Devil’s Backbone), tear through his city on their way to Mexico. Forest Whitaker plays Agent John Bannister, the agent involved in the initial apprehension of the Cortez. The cast is rounded out by Johnny Knoxville, Luis Guzman, and Jaimie Alexander (Thor). Then we have Mama (PG-13), starring Jessica Chastain ( Zero Dark Thirty ) as Annabel and N ikolaj Coster-Waldau ( Headhunters ) as Lucas. The couple takes in Lucas’ nieces, Victoria and Lily, who have been lost in the wilderness for 5 years. When the girls move in strange things start to happen and the couple discovers they are interacting to an unseen being they call “ Mama ”. The film is written and directed by Andres Muschietti. Back in 2008, Muschietti wrote and directed a short film called Mama , a Spanish film, which the U.S. motion picture Mama is based on. Let us not forget that the film is being Executively Produced by Writer/Director Guillermo del Toro (Hellboy , Pan’s Labyrinth). While all three movies have potential, I think Jessica Chastain will be competing with herself this weekend. Between Zero Dark Thirty getting extreme exposure and Mama seeming like a fresh new take on horror, the actress may have first and second place at the Box Office. The Shadow is now $1.99 for a limited time! I have some great news. For a limited time The Shadow, the first book in the Darkness Trilogy, is only $1.99 on Kindle and Nook! Check out the link below to get your copy. Gangsters, Ghosts, and Terrorist; Who Will Take the Lead this Weekend? Several films will be hitting theaters this weekend. 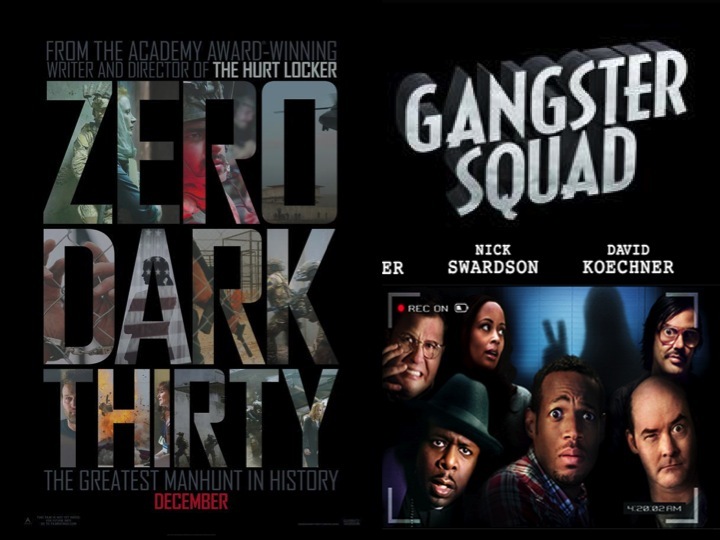 Some of the most anticipated are Zero Dark Thirty, A Haunted House, and Gangster Squad. The question is, which film will come out on top at the box office? Better yet, will these films be able to overtake the current top three: Texas Chainsaw 3D, Django Unchained, and The Hobbit? What kind of potential do these movies really have? A Haunted House, written by Marlon Wayans and Rick Alvarez, is a spoof on the Paranormal Activity franchise, Sinister, and The Devil Within. The film stars Marlon Wayans and Essence Atkins as the unlucky couple who move into a house haunted by a demon. It sounds exactly like the plot of the first Paranormal Activity movie, but all the scary parts will surely be replaced my crude and over the top humor. Does this have the potential to be number one come Monday morning? Chances are slim, but stranger things have happened. Next there is Gangster Squad, directed by Zombieland director Ruben Fleischer, about a group of LAPD police officers who take on big fish gangster, Mickey Cohen. Cohen is portrayed by Sean Penn, who sort of looks like a cartoon character with his new nose. Ryan Gosling, Emma Stone, Josh Brolin, to name a few, round out the cast. This film has the cast, the action, and the plot to do well. However, will the majority of people who will be drawn to this type of movie come out the theater this weekend? Finally, there is Zero Dark Thirty, staring Jessica Chastain as a CIA operative on a mission to find Osama Bin Laden after the attacks on America on September 11, 2001. The film is based on the real life story of this mission, the CIAs working the case, and the Navy Seals that are sent out in search of one of the most villainous people of our time. Kathryn Bigelow, known for directing The Hurt Locker, is also in the director’s seat for this one. Those associated with Zero Dark Thirty must be doing something right because it was just announced that the film is up for an Oscar for Best Picture, Best Original Screenplay, Best Actress, Best Film Editing, and Best Sound Editing. I can’t tell you how excited I am to share these lovely photos with you. Even if you just follow those links to gaze in wonder at her artwork you WILL NOT be disappointed. ‘Texas Chainsaw 3D’ Can We Handle Another One? Yes, when I am not working on my novels I review new and upcoming movies for Examiner.com. If you’re an avid movie goer and watcher like me, please subscribe to my articles! Plot: A young woman takes her friends on a trip to claim her inheritance, a beautiful mansion in the state of Texas. Unknown to her and her friends, a deranged killer is lurking in the halls waiting to put a terrible end to their fun road trip. Right now there are dramatic musicals, Oscar worthy performances, and family friendly films all waiting to entertain moviegoers this weekend. However, laughs are going to be the last thing on patrons minds as they line up to see the latest installment of the Texas Chainsaw Massacre franchise. People are over the happy go lucky feeling of the holidays and are ready for a good scare. Perhaps there will be many people who feel the franchise is overrated and overdone, but there are still those who are willing to pay that $9 at the box office to watch the gore and horror that is Leatherface’s trademark. From the trailer alone we can tell that this is going to be a blood-fest. This time, the story centers around a young woman, Alexandra Daddario, best know for her role in the Percy Jackson and the Olympians film, who brings along her friends to collect her inheritance. Daddario is accompanied by Trey Songz, yes, the rapper, Scott Eastwood, son of Mr. Clint Eastwood, and Tania Raymonde, known for her roles in TV shows such as Lost and Switched at Birth. The group, like all unsuspecting victims of Leatherface, is slow to realize they are doomed as soon as they start their journey. What is it about a chainsaw wielding psycho that gets movies goers in the theater every time? And whether or not you are one of those people who are thinking “another one?” or “it’s in 3D this time?” or “can’t they come up with anything original?’, you know you’ll be one of the first in line to see it. This is because there is something about Leatherface that makes us want to face him down in the theater. Perhaps we are trying to prove to ourselves that we really aren’t afraid. Whatever our excuse is, Texas Chainsaw 3D will have packed out theaters all across America come January 4th. Now on my blog! There is one convenient location to purchase my books. All you have to do is look under the Purchase tab; its that easy. Please, share with all those you know are looking for a good book to read during these cold winter months. I really appreciate all of your support. Wishing you and your family a very blessed New Year!